Ten years ago, the first group of Belly Bootcamp mamas met in gorgeous High Park and a PHENOMENON started. Ten years of mamas coming together to build their strength and confidence, without judgment or body shame. Intelligent, strong mamas saying yes to respectful, science-based training and no to dumbed down aerobics and get-skinny schemes. Ten years of constantly evolving our training protocols, incorporating feedback and testing methods. This is ten years of experience. This is thousands of mamas trained. This is BB. ✨ Find your "mat leave BFFs!" That's the magic of BB. This is YOUR spring, mama! Our award-winning Belly Bootcamp outdoor classes begin May 1 and registration is always open. Save $20-50 on Toronto's most respected fitness for mamas! Reserve your MOMSQUAD coupon code and begin training before April 15 to SAVE! Get in on the action early and you can save $20-50 when you join, or renew, by April 15, 2019. If fitness is one of those things you want to act on, don't let this spring pass you by. You've only got until April 15 to join BB - or renew your existing registration - at this special price before fees go back up. Claim your MOMSQUAD special pricing and save $20-50 ONLY until April 15! 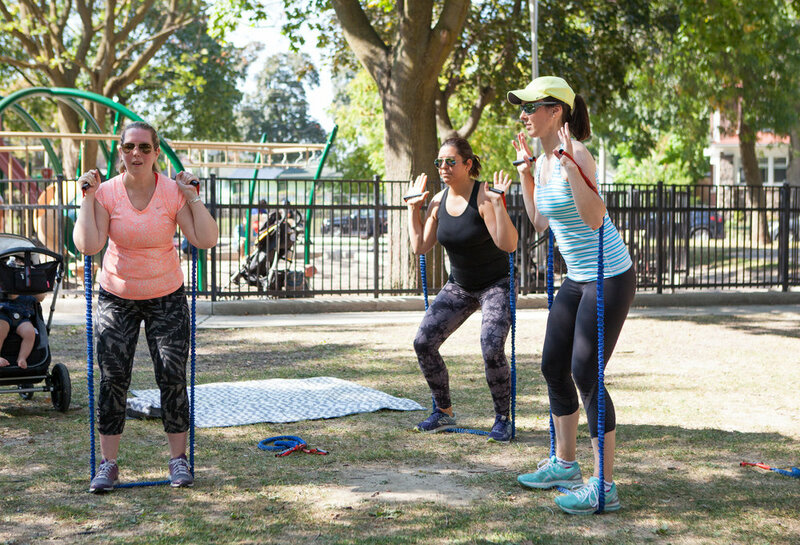 Refer a friend to Belly Bootcamp and you'll receive a free week when she signs up! View a PDF of the 2019 Spring/Summer Belly Bootcamp Schedule. Once you register, we’ll invite you to our private online community and send you all the info you need to get ready for your first class. Hillcrest Park (midtown west): Meet at the north end of Hillcrest Park, at Hillcrest Dr./Christie Ave. By TTC, take the St. Clair West streetcar or Davenport or Christie bus. Free parking is available on nearby residential streets. East Lynn Park (east): Meet at the north end of East Lynn Park, near the corner of Danforth Ave./West Lynn Ave. By TTC, take the subway to Woodbine station and walk two blocks west on Danforth Ave. Free parking is available on nearby residential streets.